Just off downtown in sought after Aiken Estates location. Nice 4 bedroom brick ranch with many updates, such as newer roof and HVAC, new paint throughout, open kitchen and large laundry room. Beautiful hardwood floors (no carpet). Kitchen has bar seating that opens to the dining room with a large picture window overlooking the back yard, hardwood flooring in the dining room, living room and all 4 bedrooms! Property comes with a large fenced back yard, with a deck, a patio and a storage building. Easy commute to all of Aiken. 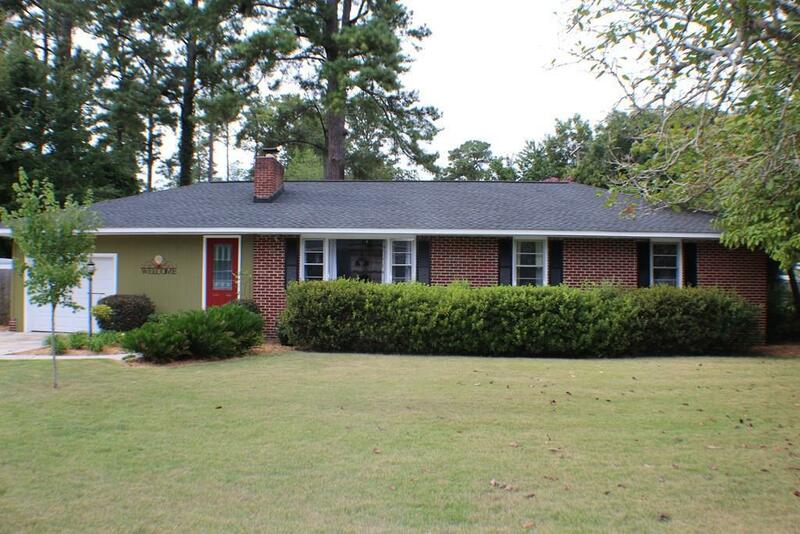 Listing provided courtesy of Amanda Israel of Keller Williams Augusta Partners.